DelPAC 2020, when used as a coagulant, can provide longer filter runs, reduce or eliminate the need of alkali for pH adjustment, lower amounts of residuals and generally has the lowest overall costs of any treatment program. 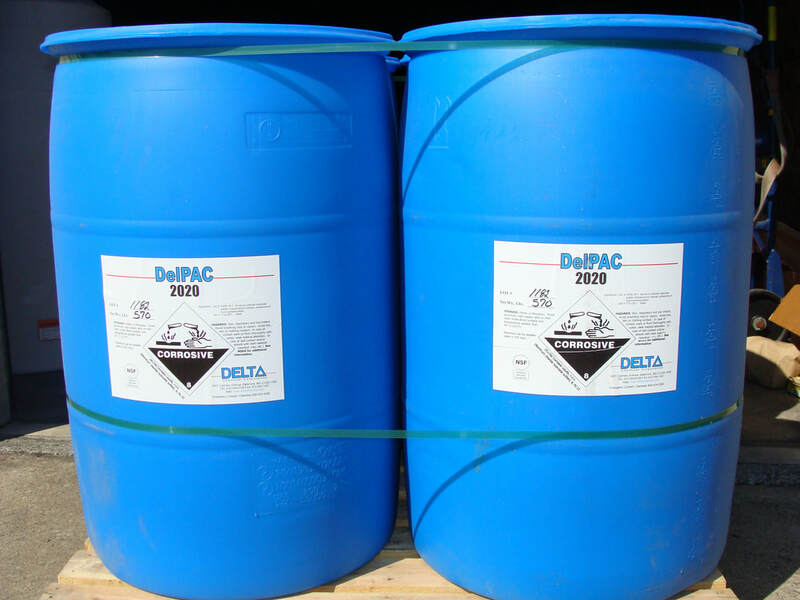 DelPAC products are of high quality and meet the specifications of the American Water Works Association Standard B408-10 and complies with the requirements of ANSI/NSF 60 at a maximum dosage of 250 mg/L. Available in 55 gal drums, 275 gal totes, tank trucks. Excels in cold, low alkalinity, low turbidity waters. Request in plant jar testing.